Just in time for spring, we're excited to announce a brand new edition of James Sturm's cult classic is hitting the shelves!! 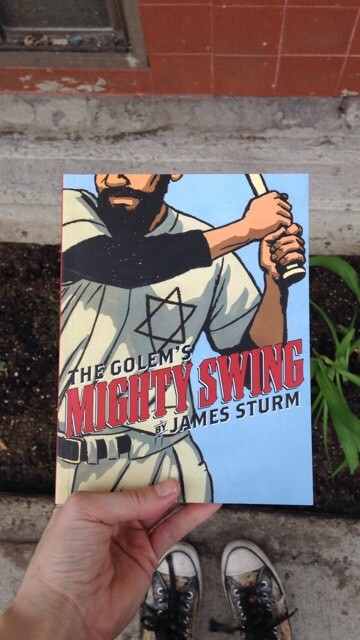 The Golem's Mighty Swing is a graphic novel about a Jewish baseball team in the 1920's, and a graceful exploration of the American Dream. Sturm's iconic work of literature deals with complex and intersecting identities, and addresses a much harsher reality of sports history than one might anticipated. Originally published in 2001, the book has played a huge role in the way we understand graphic novels today!